One of the contenders in the race for the presidential ticket of the opposition National Democratic Congress (NDC), Sylvester Mensah, has called for the support of delegates of the party as he bids to lead the party into the 2020 elections. Mr. Mensah stated that while he might not resort to financial inducements to earn the backing of the party’s delegates, he had what it takes to ensure that the NDC regains power in the next general elections. “With all my qualities of being able to mobilize for positive action/change, a unifier, and as someone who truly understands how to drive our party and country forward, I see no reason why party delegates should not choose me over the rest. In an interview, Mr Mensah spoke about his motivations for contesting to be the party’s flagbearer, insisting that he believes he has a chance to serve the people of Ghana. 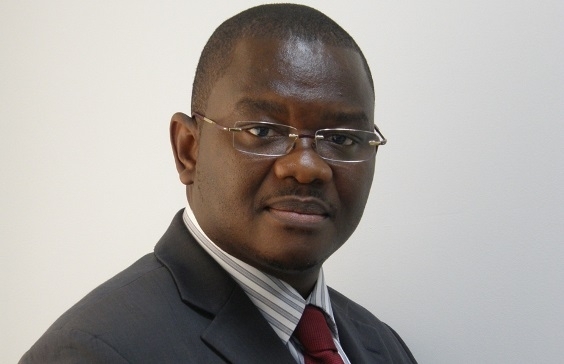 An astute administrator, having served as the Chief Executive Officer of the National Health Insurance Authority (NHIA), Sylvester Mensah declared his intention to contest back in August. He will face stiff competition from some senior personalities within the party including former UPSA Rector, Prof Joshua Alabi; former Trade Minister Ekwow Spio Garbrah; second deputy Speaker of Parliament, Alban Bagbin and former President John Dramani Mahama. Why do you want to lead the NDC for the 2020 elections? Sly Mensah: It’s not so much about me wanting to lead the NDC. It’s more about what I term the tide and the time. Every historical epoch defines the requirements of leadership. The NDC is at a junction which requires a certain leadership: leadership that offers freshness, a new voice, a new vision, a new direction, a new type of relationship, a new culture; leadership that has been deeply immersed in the foundation and values of the antecedents of the party and understands the pre-NDC era; leadership that appreciates party structures and processes like none other; leadership that is passionate about grassroots concerns, anxieties and ambitions, and leadership positioned to rebuild trust and confidence in the Ghanaian politician. This confluence of demands on the next leadership of the NDC appear to have met me at the right place, ready and willing. Besides, they are in sync with my own thoughts and vision for NDC into the future. That explains my interest in the up-coming presidential primaries. It’s a pull-push enterprise. Why must the delegates or party choose you over the other candidates? Sly Mensah: I have made it abundantly clear wherever and whenever I have had the opportunity to address party colleagues and the public at large, and it bears repeating here: that as far as I am concerned, being president is an opportunity to perform a job/service to Ghana and the people of Ghana. It is an opportunity to free our people from the misery that the bad policies of this government have plunged the country into. Tackling this task is a matter of utmost urgency and requires an individual who understands that and is willing to tackle it with alacrity and gusto. Sylvester Mensah gets that. My track record in party work, in parliament, in the private sector and in government bears ample testimony to my passion and zeal for turning challenges around for the common good of the community and society at large. The NDC is blessed with an array of leadership talents. This is a source of tremendous pride for me as a member of the party. However, I believe that the skills I possess, the executive competences which my service to the country in government have enabled me to hone, coupled with my grasp of the challenges facing the nation and my passion and determination to tackle them when elected, make me the most suitable candidate for the role. What makes you feel you are the right candidate to bring the NDC back to power? The NDC needs to rediscover its foundation values. I’m not just referring to probity, accountability, and social justice. Over and beyond these, I’m referring to the spirit of selflessness and service, where belonging to the NDC was more of a call to service devoid of any parochial or material interest; where party members needed no materialistic motivation in their decision making and choice of leadership – the main consideration being capability and competence. This requires a bridge between the new and old generations of the NDC. I represent that bridge. The NDC can only beat the NPP at the next election when we draw on our biggest assets – our values, our passion, and I, more than any of the other candidates can offer that direction because in addition to being a foundation member of the party, I have also witnessed the changing phases of our party and closely associated more with the youth of the party whose interest appears paramount at this time of our journey. 2. Secondly, the NDC has in the recent past been led by members who were not deeply stewed in the processes and structures of the party and who lack the understanding of the anchorage of the party’s architecture. Indeed the party has not come this far on ‘auto-pilot’ but through deliberate orchestration by men and women of valour and fortitude whose over-riding aspiration is to see the NDC immortalized. The sacrifice of competitive process in arriving on a flagbearer in the recent past had served as a point of alienation for most party members, executives and elders. That didn’t help energize the party except to immobilize it. Consequently, it’s imperative to narrow the gulf between the party’s candidate and the base of the party. We need to return the conduct of electioneering campaign to the branches, wards and constituencies of the party where they truly belong; not the trending WhatsApp platforms and all the various ad-hoc, money-guzzling campaign groups that sprung up in the build-up to the 2016 elections, which clearly ignored and sidelined significant members, leading to apathy and the heavy defeat the party suffered. In the follow up to that defeat, the party has been in search of a leader, deep in his respect for, and understanding of the party and its processes. I, more than any other candidate answer to these. To provide a vision and understanding that the presidency is not merely a position to be encumbered but a Job urgently required to halt and reverse the retrogression Ghana has experienced over the past 21 months under the NPP government and to set our country on its rightful path to development and progress. To demonstrate the willingness, the zeal, the passion to tackle the monumental task of re-positioning the ship of national government from day one and the tenacity to follow responsibly designed policies for development through to their logical conclusion. To put in motion the conviction to marshal everything I have got – my skills and talents, my competences, my proven track record of success in management, strategy, communication, finance – to harness the full potential of our youth for accelerated national development. The shining Black Star, which many seers have forecast for our country, Ghana, is real. We must not leave it to remain latent forever! Our party deserves to take the courage and fortitude it demonstrated in its recent internal elections to the next level – cohesion for victory. To this end, candidate Sly will remain resolute and work with all elected party officials in order to achieve our united goal of victory in the 2020 elections. What new policies and ideas do you bring on board? – I want to promote the education of the rank and file on our political party’s ideological standing as a “social democratic party” by making sure all members, old and new, understand what we stand for and where we are seeking to take Ghana. In particular, have training modules developed for all layers of leadership to ensure that those who encumber public office are well grilled and stewed in the structure, systems and values of the party, including its traditional allies and significant stakeholders whose interest must feed into our political platform, among others. – I will work with the executives to improve the general communications strategy and improve the party’s relationship with the media home and abroad. – I will work to develop specific sector think tanks with academicians and technocrats for cutting-edge policy development, review and analysis to feed the business of statecraft. – I am keen on strengthening the internal democracy of our party and developing a consensus on appropriate term limits for all elective positions to allow for regeneration and growth. I want to see an NDC party where minorities, women, youth and persons living with disability can fully participate. – I will work with party executives to thoroughly review our party constitution to reflect experiences and developments over the years. In particular, the constitution must reflect the role of the party’s council of elders and founder in a way that would make them active and functional all year round. Significantly it must reflect a party-government involvement in determining political placements when in government. – I will work at combating corruption and promote transparency and accountability by making corruption unattractive. – I seek to work with the party’s Executives to improve the way the NDC has worked over the years from manual to the use of technology in all our party’s operations. As you know we have two levels of elections. When we cross over successfully from the internal one I’d be glad to share a deeper insight into our broad national and world outlook. However, I am passionate about reviewing our rent law to discourage the unhealthy practice of unreasonable demands for rent advances. I believe that rent must be paid monthly and government must show more commitment to social housing; I further believe that the concept, form and nature of awards at our annual National Farmer’s Day must give way for a more purposeful award scheme that dovetails into my over-riding policy of changing the structure of our economy. This would, for instance, see our national and regional best bamboo farmers receiving tooth-pick making machines, while our best tomato farmers must be able to add value or process tomatoes to reduce post-harvest losses, generate wealth for farmers and create jobs. What would you do that former president Mahama didn’t do? Sly Mensah: I will prioritize the interest and concerns of those men and women who offered their lives in service for the party and continue to vote and show solidarity to the NDC. Many of our supporters have lost hope because they are not being appreciated as loyal and hard-working members of our party. I, Sylvester Mensah, believe strongly that loyalty pays and I pledge that all those who serve well would be honoured and given the opportunity to serve the country in capacities that clearly meshes with the capacity, ability and talent under my leadership. – As a decisive and pragmatic leader, I shall pay attention to details. I will provide true leadership in all we do as a party which must be in line with our party’s fundamental principles of probity and accountability and not give room for any political opponent to speak about corruption while pointing fingers at us. – As a leader I will be a good listener and give appropriate reverence to party seniors and elders – those who have come before us. I will provide guidance and reward to all those who do what is right and promote our political ideology and commitment to the Ghanaian dream. – Women, youth and differently abled persons would be given opportunities under my leadership to reduce exclusion and allow for popular participation. What are your chances? Does the grounds favour you in view of the giants you are contesting the flagbearership race with? Sly Mensah: To the extent that the party’s rank and file are battling through the economic challenges of the hour with tremendous difficulty; to the extent that they know what it takes to straighten things for the benefit of all, I certainly have a bright chance. With respect to the one with the greatest potential and the most suitable candidate to lead them out of this misery into electoral victory, I haven’t a shred of doubt in my mind that they know that I possess the best fit. Hence my chances for emerging victorious are very bright. The word “giants” is perhaps unhelpful when used in this context. It is laden with emotional baggage which leads the mind away from the needs of the hour into the leadership challenges of the past. What will be more helpful will be to drill down to the following: Who among the candidates understands the challenges confronting our party and our country and possesses the right blend of skills, competencies and passion to tackle them effectively for the benefit of society? Doing so carefully, thoughtfully and dispassionately will lead to only one candidate: Sylvester Adinam Mensah. What do you make of Former President Mahama’s decision to lead the party for the 2020 polls? Sly Mensah: H.E. John Mahama successfully led the last NDC government to record lasting achievements against the background of very challenging political and economic circumstances. These achievements stand tall in our recent political history for all to behold. I had the privilege of serving in his government and can attest to the achievements without sacrificing the fact that more could have been achieved. The decision to lead one’s party however, is a choice every member in good standing and with the right motivation may take. The former president, like all others, is exercising his prerogative to join the fray, and that can only be a good thing. It signals his acknowledgement of an overarching party reality: that in order to select a candidate for national elections to reflect our values and expectations, the party must have a nationwide conversation. This conversation should represent an opportunity for the party to consider what’s on offer from its pool of talents to enable informed decisions on its choice of candidate at the primaries. This is the right way to proceed in a matter of such importance for the party and country. Doing things the right way, our party becomes victorious even before the first ballot is cast in 2020. The beauty of democracy is about engagements and conversations, it’s about preferences and choices, and it’s about meeting the expectations of the moment and the benefits for future generations. .. Asking for one’s name to go forward to join the contest to determine who leads the NDC into 2020 and beyond, is of course, the prerogative of every accredited member of the party. Do you view his comeback as an outright win for the NPP in view of the 2016 defeat? Should the delegates, as a result, choose you instead of Mr. Mahama who led the NDC to opposition? Sly Mensah: The moment I decided to contest for the leadership of the party, I presented myself as the credible alternative who can bring victory to our party, comrades and Ghana as a whole. This is the beauty of the democracy which we as a people have chosen to be governed by, where citizens are given the opportunity to decide who will serve the purpose best. – I want to serve and not be served; I want to work and not to be worshiped; I want a Ghana where leaders are voted for because they understand the needs of their people and can help them deliver group goals. – With all my qualities of being able to mobilize for positive action/change, a unifier, and as someone who truly understands how to drive our party and country forward, I see no reason why party delegates should not choose me over the rest. – I might not have money to pay for or buy votes but I hope our party supporters will empower me to serve them well as their new leader for the prosperity of all Ghanaians home and abroad. What do you make of the ideas of compromised candidates emerging within the ranks of the party? The choice between competitive selection on the one hand and relying on compromises and consensus building on the other must always be weighed against popular demand, expectations and anxieties of the rank and file as well as what best serves the collective good of the party. Where the party is poised for competitive selection, it is often the case that compromises and consensus building may fail. Good leadership assesses the mood of the party for the most useful option to adopt. I have faith in either option as long as it reflects the general mood and pleasure of the party. Ghana, our beloved country, is reeling from the throes of bad governance: from economic mismanagement; from crippling nepotism and cronyism; from brazen corruption; from mismanagement resulting from oversight stupor; from misplaced priorities in government; from the setting of dangerous precedents for our democracy; from progress-sapping indifference; from the abdication of moral leadership. The resultant effect of all these is retrogression of the nation from the modest developmental gains of the NDC government. Reversing this and putting our nation back on the path of progress and development is a JOB, not a funfair! It is an urgent task which requires the ability to conceptualize, international benchmarking, knowledge and wisdom, circumspection, vision and passion, coupled with the right blend of skills and executive competencies that have been sharpened by a proven track record of service to our people in party and in government. This is the leadership that I, Sylvester A. Mensah, am offering! I am however mindful that Ghanaians are God’s children and HE alone would determine the leadership we deserve as a people. At the end of the day only one of us will emerge and tenets require that we all rally behind the eventual winner to give our dear party the resounding victory our membership and Ghanaians cannot wait for. The time and turn of Sylvester Adinam Mensah is now! I cannot make it without you, my dear reader. The time for change has come!